J.S. Ferris (J. Stephen) and Galbraith, J. A.
Ferris, J.S, & Galbraith, J. A. (2000). 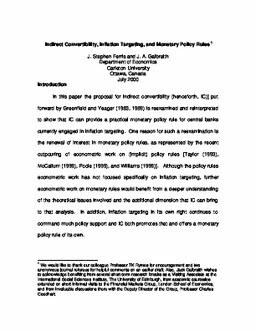 Indirect Convertibility, Inflation Targeting, and Monetary Policy Rules (No. CEP 00-10). Carleton Economic Papers (CEP). Department of Economics.